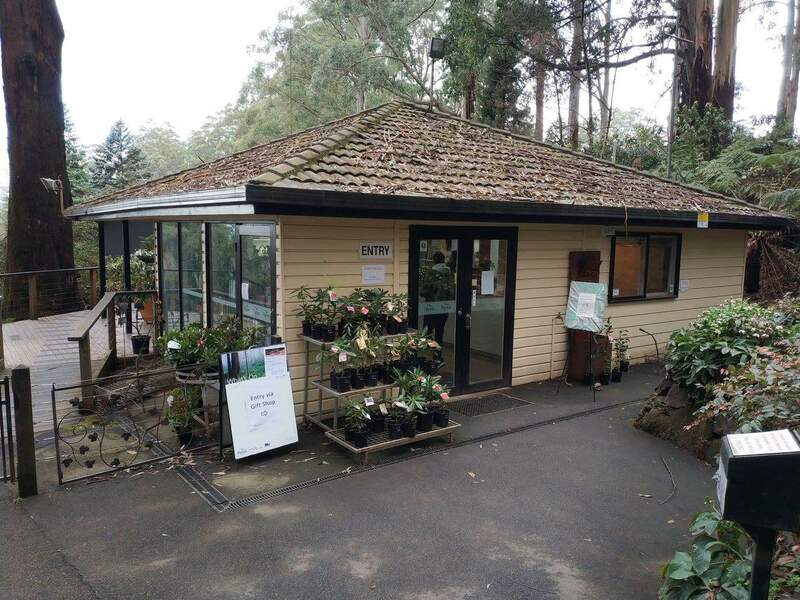 The National Rhododendron Gardens (formally known as The Dandenong Ranges Botanic Garden) is a popular destination located in the Dandenong Ranges. This serene setting houses a variety of colourful blooms; including azaleas, camellias, rhododendrons and daffodils. With an international reputation, this group of magnificent gardens attract up to 50,000 – 60,000 visitors every year. The gardens are known to house some of the rarest and most popular Australian flora and fauna. You will come across a number of garden and fern gullies at this park, apart from its variety of seasonal blooms. 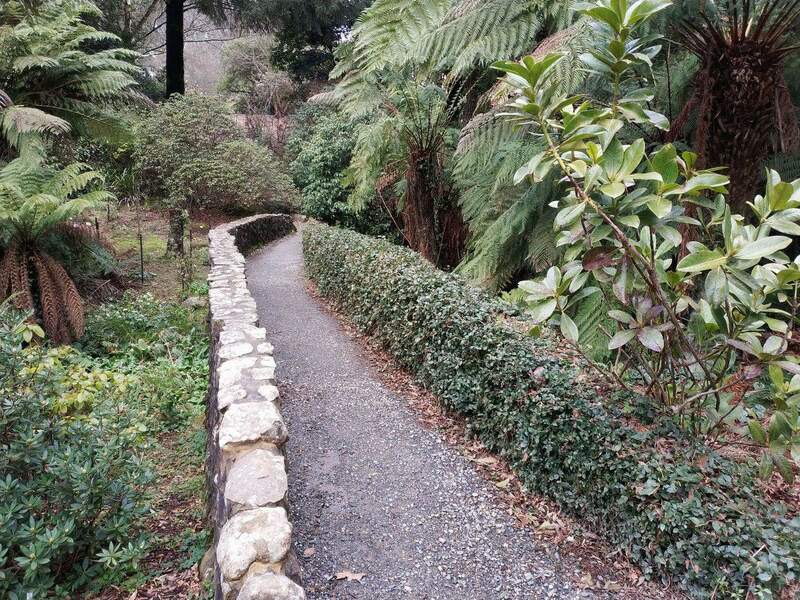 Visitors to the garden can explore the habitat of rare lyrebird species, with a number of visitors heading to this park in winter in order to watch this rare bird. You will also find several other bird species; including king parrots, ducks, peacocks and crimson rosellas. Whether it is spring or autumn, the gardens always stay vibrant and colourful with its wide variety of blooming gardens; with the gardens also renowned for the flora Mount Ash, the world’s tallest flowering plant. 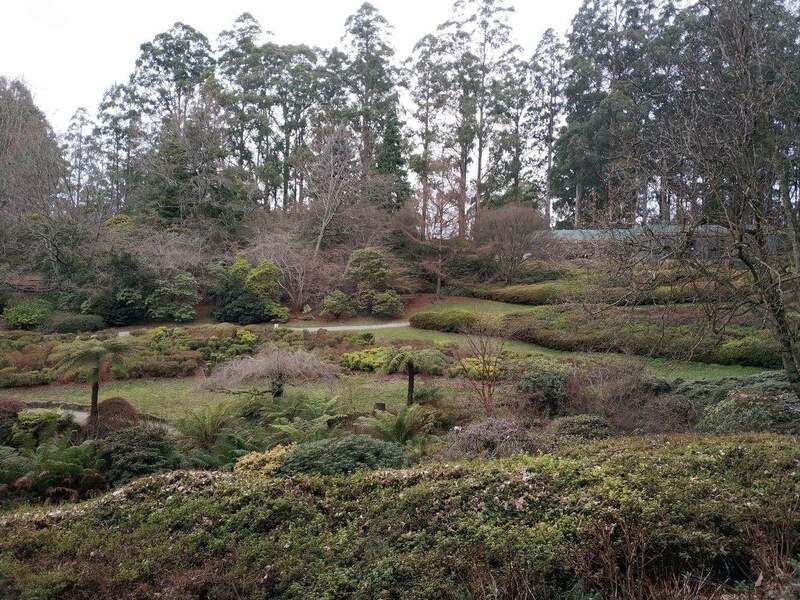 Set at the foothills of the blue Australian Alps, these gardens offer the best scenic views of the surrounding landscape and its adjacent verdant forest. Those interested in visiting can take a self-guided tour across the 103 acres of scenic botanic gardens. In addition, a number of tour operators offer mini-bus tours to these gardens during spring. You can take a 20 minute narrated tour across the charming gardens and explore what the place has to offer. Seasonal changes ensure the gardens are a delight all year round, so there is no best time to visit. However, as you would expect, spring brings with it a seasonal bloom and warmer weather, so is a good time to visit as the days are warm and the evenings cool. As the botanic garden houses a number of picnic grounds, you can come here for a picnic as well. Also, enjoy watching the native bird life and the stunning views of the Alps from various the lookouts within the garden’s vicinity. Hi, can you tell me if the rhododendrons are in flower and if the explorer mini bus is operating and on which days please. So you should still be in luck. Hello!! Im wanting to go this thursday! Are the blossoms out yet? Thank you! It was announced last Tuesday on the 25th September 2018 that the cherry trees have started blossom. It mentions that depending on the weather conditions, they flower for 4-10 days. I actually had to Google this, but apparently once the flowers bloom, they last around 2 weeks. So based on the timing, this week would be an ideal time to visit. 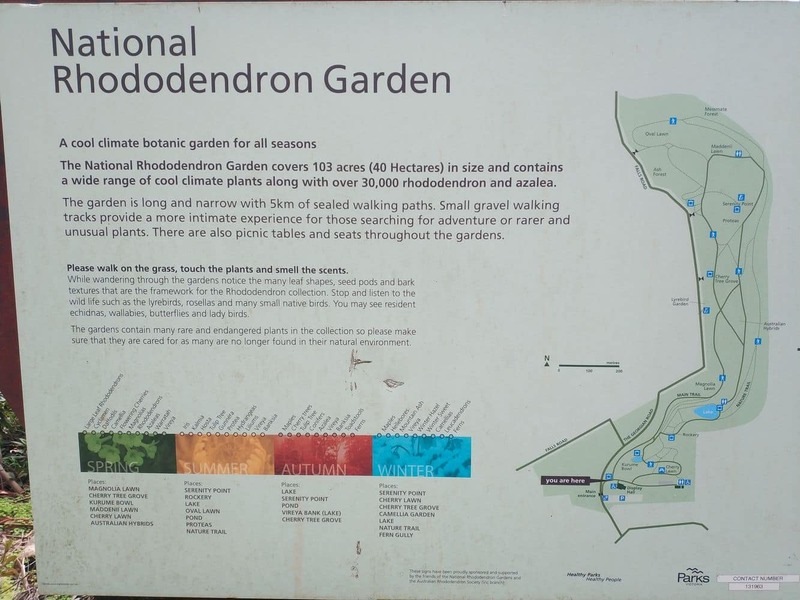 Is there any outdoor bbq area national rhododendron park? I have checked all the maps, and although there are picnic tables, there aren’t any bbq areas inside the park. 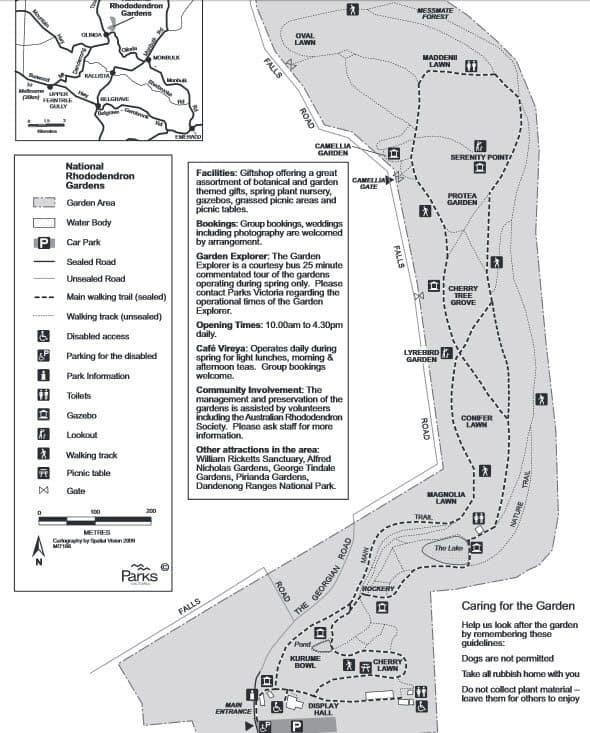 Looking at the maps on for the Dandenong Ranges National Park, it looks like the closest BBQ areas from the gardens would be in Kalorama or the RJ Hamer Arboretum. I have been checking the Parksvic website on a daily basis and their last update was 2 days ago on September 19, where it’s still stated that “The cold weather has delayed the flowering for some magnolias and the cherry trees”. Blossoms usually reach their peak in mid-September to early October – but with the above statement, this will likely be pushed back. Once open, flowers last from 4-10 days, depending on weather conditions. So based on this information, I would say to hold out visiting just yet. Is this week good? Is cherry blossom at full bloom? We hope to go today. Unfortunately, I can only go by what the ParksVic website is telling me, which on the 19th September still said “The cold weather has delayed the flowering for some magnolias and the cherry trees”. Be that the Tesselaar Tulip Festival is also having issues with the cold weather, i would say the issue is somewhat widespread. Rest assured i am checking the official channels on a daily basis and once i have word of things being ready, i will update the website. Once the flowers have blossomed, they should last between 4-10 days. Just sending you a quick update. As of this morning, it has been announced that the cherry trees have started to blossom. Depending on weather conditions, they will continue to flower over the next 4-10 days. Hi will this weekend be a good time to visit for the cherry blossoms? 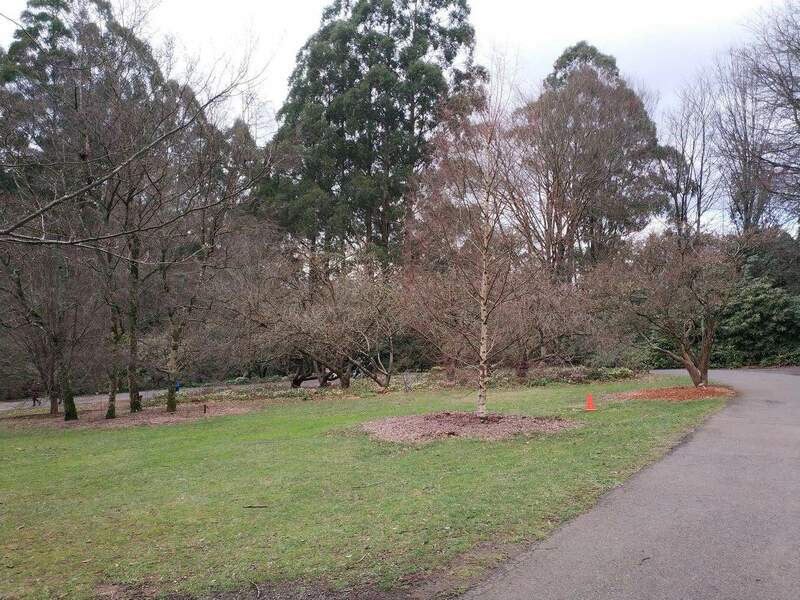 I have been checking the Parksvic website on a daily basis and their last update was on September 10, where it’s still stated that “The cold weather has delayed the flowering for some magnolias and the cherry trees”. I am going to be checking the updates multiple times per week and will be updating this website as soon as any new information becomes available. Can we bring our small dog to the national rhododendron gardens? 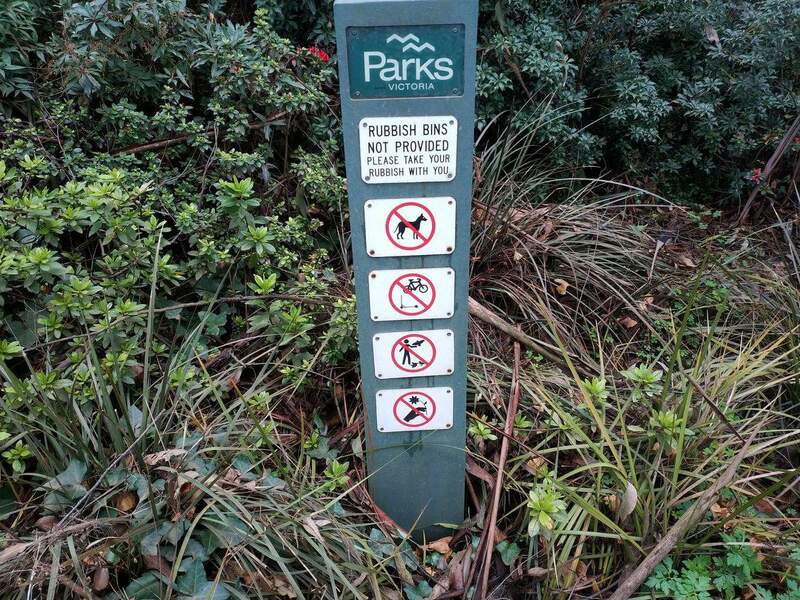 According to the ParksVic website it’s stated that “Dogs and other pets are not permitted”. 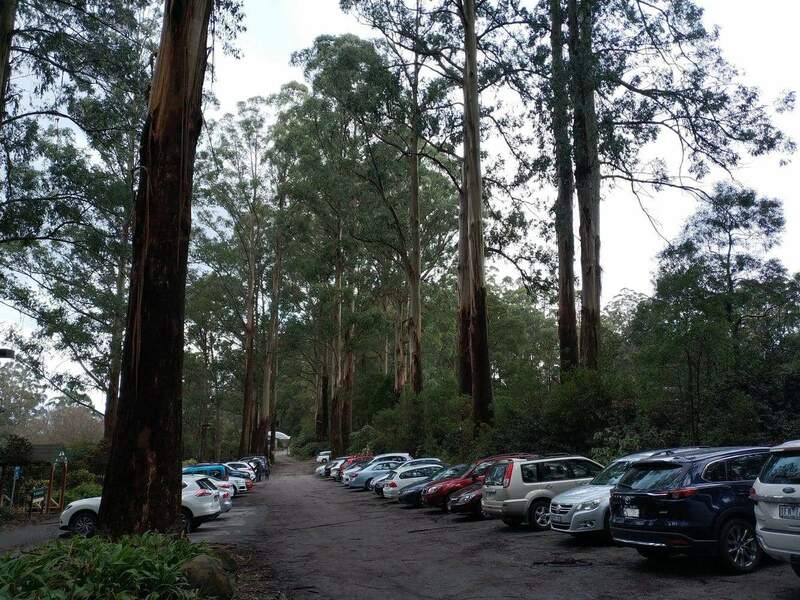 My guess is that it falls under the region of the Dandenong Ranges National Park, where pets usually aren’t allowed (except assistance animals). When would be a good time to come visit for the cherry blossoms? 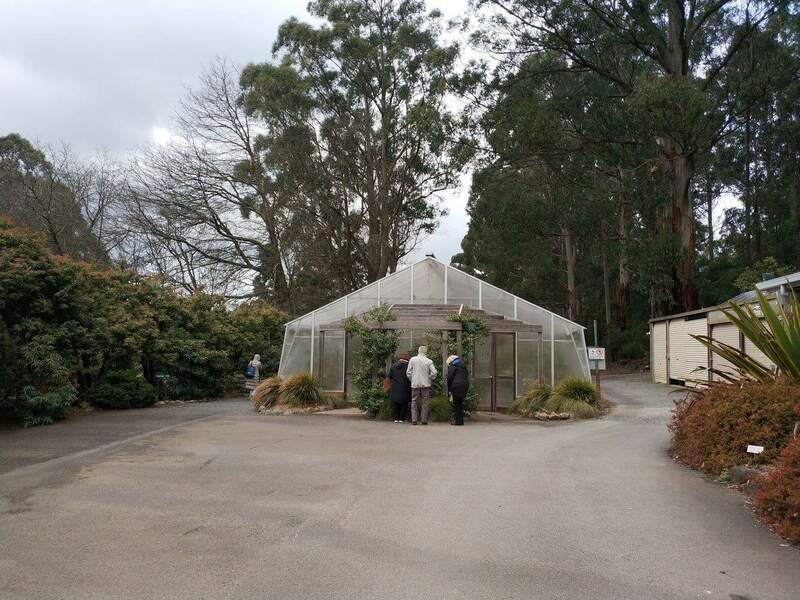 Reading the latest flower update from the Dandenong Ranges Botanic Garden that only came out today (Monday 10th Sep, 2019), it’s still stated that “The cold weather has delayed the flowering for some magnolias and the cherry trees”. Any sign of the Cherry Blossom for this coming weekend? According to the flower update provided on 3rd September 2018, it’s noted that the recent cold weather has delayed the flowering season for the magnolia and cherry trees. 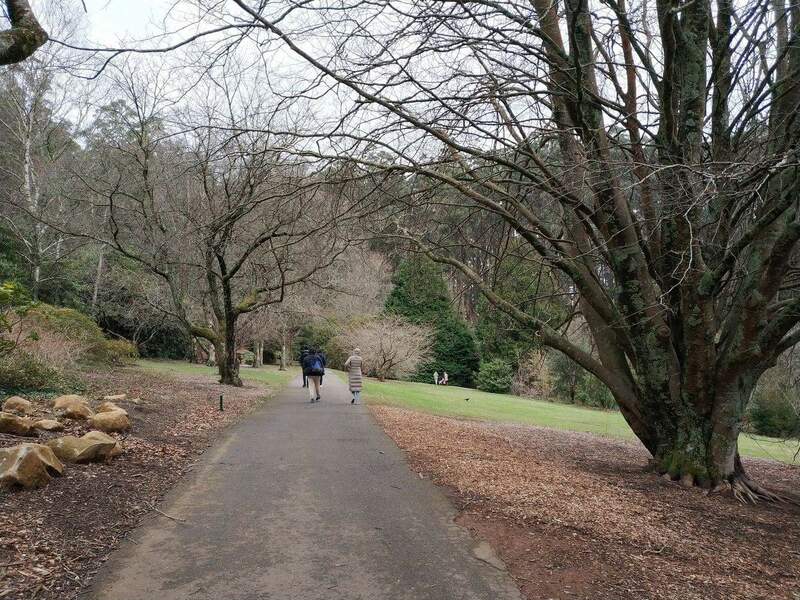 As the Dandenong Ranges Botanic Garden is at an altitude of 500 metres, the cherry trees bloom later than they do in the suburbs of Melbourne. The blossoms usually reach their peak in mid-September to early October, and once open, the flowers usually last from 4-10 days, depending on weather conditions. On a side note, it’s recorded that rarly rhododendrons and camellias are now in flower, along with hellebores, proteas and daffodils. As you mentioned that Cherry Blossom is scheduled for mid-late September. Is there any Japanese culture event will be hold on that period sama as previous ? Having run this website now since 2010, i do recall there used to be a Cherry Blossom day event, but if my memory serves me right, they stopped that a few years ago. According to the What’s On section of the Parksvic website, the Cherry Blossom is scheduled for mid-late September. Be that your visit date is around that time, there is a good chance it will be occuring then. I would suggest checking back closer to to the date for an update. 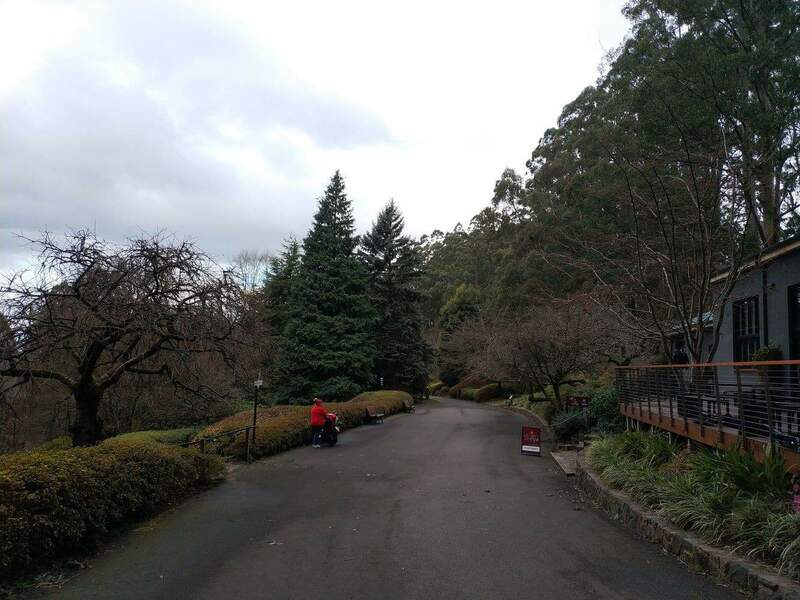 The cherry blossom gardens are located at the “Dandenong Ranges Botanic Garden” on The Georgian Rd in Olinda. The “Cherry Tree Grove” is located towards the rear of the park. Although there looks to be a side entrance called the “Carmellia Gate”, I can’t tell if this gate is open – as it will save a lot of walking. So it would be worth driving down Falls Rd first along the left / west side of the park. Please note that the Cherry Blossoms are estimated to occur in mid-late September. When will the cherry blossoms be in full bloom this year? According to the What’s On section of the Parksvic website, the Cherry Blossom is scheduled for mid-late September. Having visited there just over a week ago, there was no indication that it was occuring just yet. I would suggest checking back closer to to the date for an update. Hi, can I ask when cherry blossoms are in full bloom this year? Hello!! When will the Cherry blossoms be out this year? Thank you! Hi is the cherry blossoms are already blossoming? The Parksvic website is a little light on an update, but according to their What’s On section around flowering, the Cherry Blossom is scheduled for mid-late September. Are the magnolias still in full bloom? I have checked all of the official websites of the gardens, but none of them mention the current status of the gardens. Be that I personally can’t get out to the gardens until the weekend, it would be worth contacting Parks Vic on either 13 19 63 or emailing them at info@parks.vic.gov.au. We are currently in the middle of winter, so not much will be flowering at the moment, however Vireya rhododendrons flowers throughout the year. Nevertheless, it is still a lovely time to visit (rugged up in your warmest winter woolies) as there is often a low mist over the gardens with Hellebore and Cyclamen flowers falling to the ground creating a beautiful carpet of flowers. Hi, is the garden bus tour for people who have difficult mobility? how long it takes for the tour? 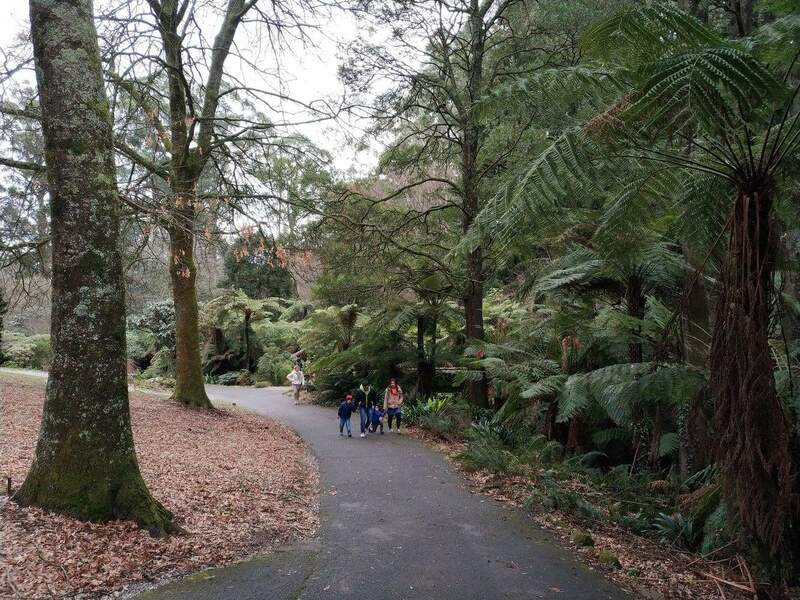 The Garden Explorer bus tour is for people of all ages, but would be great for those wanting to explore all the Rhododendron Gardens but dont have the stamina to walk the entire grounds. do we need to book in advance or simply just go to entrance kiosk to arrange on the day? Any specific time we need to be there? It appears that the Garden Explorer has ceased operations for this season. It is anticipated that they will offer a similar service for Spring 2018. Hi! When is the best time (which month)to visit the garden, I mean the flowers are in full bloom ? Thanks. October is the best time to visit in my opinion, as it is in the middle of Spring. Most of the flowers are in full bloom by late-October and the cherry blossoms are also out at this time. April is also a beautiful time to view the changing colours of the leaves as the garden transitions into Autumn. Those are my two favourite times to visit! Have a wonderful time at the National Rhododendron Gardens! Hi there, are the rhody still flowering as I know it has been very hot this week? If not, what is still flowering? I haven’t visited the National Rhododendron Gardens this season, so not sure what is currently flowering. Give Parks Victoria a call on 13 1963 if you want an update for this weekend. Hi there, are the rhody still flowering? Thinking of taking overseas visitors to the ranges. Yes, there are still a few in flower with beautiful mauves, pinks, oranges and reds. Unfortunately, the weather hasn’t been great today, but it looks as though it might fine up in spots over the weekend. Yes, the National Rhododendron Gardens will be open on Cup Day. It only closes on Christmas Day, or on days of severe weather (bushfires, etc). Just wondering if the cherry blossoms will last till this weekend? Unfortunately the cherry blossoms are pretty well finished for the season. However the gardens are still magnificent at this time of year with rhododendrons and azaleas combining to create a magnificent garden filled with mauves, pinks, oranges and reds. Have a great time at the Rhododendron Gardens! October (and Spring in general) is a great time to visit the Rhododendron Gardens. Throughout October, the colours build with rhododendrons and azaleas combining to create a magnificent garden filled with mauves, pinks, oranges and reds. I’m planning a visit to Melbourne in November and I’m interested to visit the garden. May I know is there any floral blossom during the month? Or will there be any attractive happenings around during the month? Unfortunately the Cherry Blossoms will have finished flowering by November. However the gardens are still very much alive and beautiful in November as it is still Spring. Throughout October, the colours build with rhododendrons and azaleas combining to create a magnificent garden filled with mauves, pinks, oranges and reds. Most of these colours will remain through November with the colours muting sometime in December. Have a great time at the National Rhododendron Gardens! What about the first week of January? In January, you will be in the height of summer and will be able to enjoy blue and white hydrangeas in full flower and beautiful shading trees. Walk through the nature trail through the cool rainforest and enjoy the shade of the large conifers. Are the cherry blossoms out fully now? So based on that information, it sounds like this weekend will be the last chance to view the blossoms. Perhaps give Parksvic a quick call on 131963 before you make the trip out to make sure things are conditions are still worthwhile. Yes, the National Rhododendron Gardens will be open tomorrow. Are there areas for BBQs? No, there aren’t any BBQs located inside the gardens themselves. 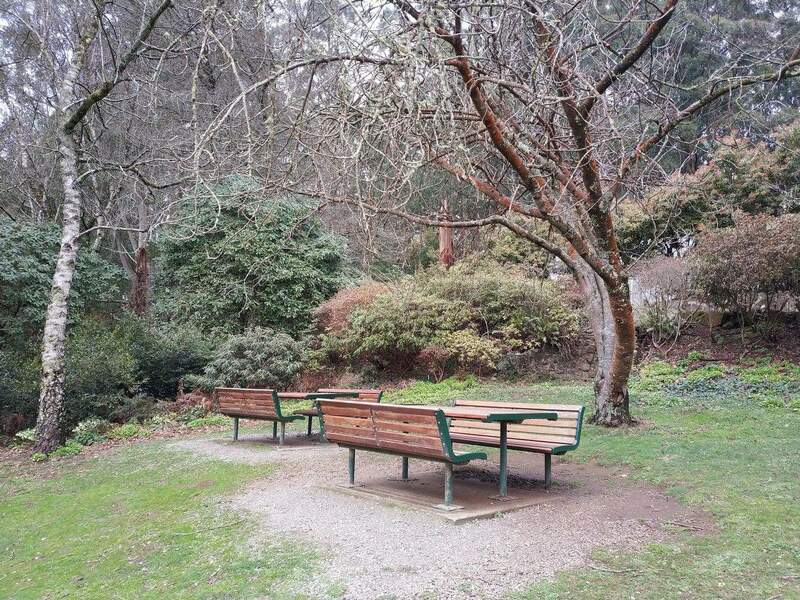 You are welcome to pack a picnic however to enjoy in the gardens or, if you want to still enjoy a BBQ in the area, head to the nearby Hamer Arboretum. There are free electric BBQ’s located there. Whats the status of the cherry blossoms ? They are 90% in bloom! This weekend will be the best time to view them at the National Rhododendron Gardens! how can I book the bus tour? Call 0412 351 296 or email info@yarravalleytransfers.com.au to book. Have a great time at the National Rhododendron Gardens, and enjoy the Cherry Blossoms! Is the garden going to be in full bloom this Sunday 1 Oct 17? There are a few buds and flowers starting to appear, but there is still a way to go until flowering. Best to wait another week if you can. I am planning to see cherry blossom tomorrow. Is it in full bloom yet? I would like to see the cherry blossoms in full bloom. May I please know if they have fully flowered? I am considering to go this Saturday or next Friday. Which date will be better? Best to wait another week. There are currently a few buds and flowers starting to appear, but there is still a way to go until flowering. With this cold weather, it is expected they may be out in flower sometime in late September. Thank you so much for the timely update . How does the status of cherry blossom now? 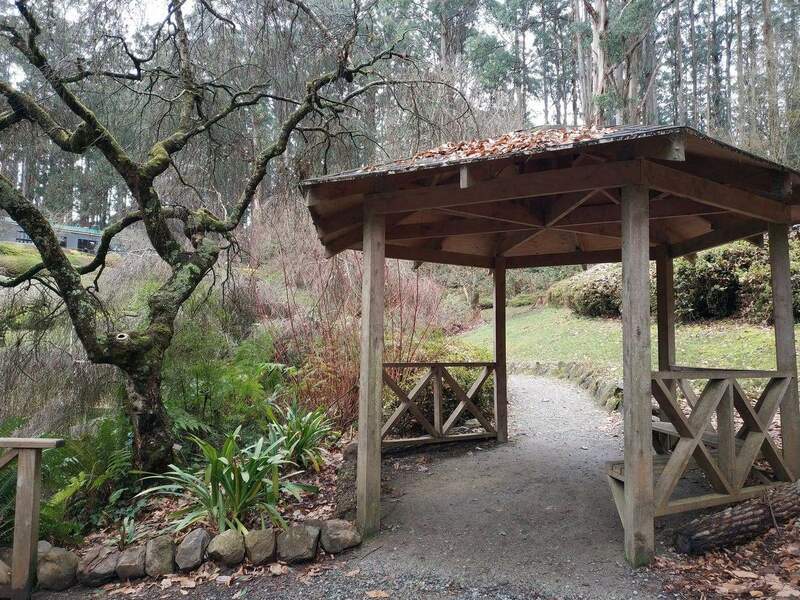 There are currently a few buds and flowers starting to appear at the National Rhododendron Gardens, but there is still a way to go until flowering. With this cold weather, it is expected they may be out in flower sometime in late September. Hi I visited last week but the cherry blossoms weren’t in bloom yet. Looking for an update as to whether they’ll be good this weekend or next weekend is better? I don’t want to miss it! Also whether the garden explorer is available as we would like to bring some old folks but they can’t walk very far. Thanks! The Garden Explorer commenced as from Monday 18 September 2017 through to Friday 3 November 2017. Bookings are required for groups only. The Garden Explorer vehicle is a 24 seater bus which provides comfort and protection to its passengers and high seating for better views of the magnificent garden. Is September month a good month to visit? September is a great time to visit, with mild weather and sunny days. However, I would wait until the end of the month when the cherry blossoms are in full bloom. Early October is probably even better to visit, as we have had a very cold winter, the flowers are taking an extra week or two to fully flower. Hi, Love to visit National Rhododendron Gardens in mid Feb. would we get to see flowers at this time of the year? And will the weather be very hot and shall I worry about bush fire? The Melbourne weather will be at its hottest in February, with temperatures around 35 degrees Celsius on any given day. There are typically beautiful blue hydrangeas and multi-coloured lilies in flower during this time, so you will still get a beautiful experience even during the hot months. Check the local weather reports regarding bush fires. The Dandenong Ranges is certainly a bush-fire zone during those months, but just check the local Bureau of Meteorology Website for updates in the days leading up. The park remains open all year, unless there is are dangerous weather conditions. The area hasn’t been affected by bushfires in the last few years, so hopefully 2018 remains the same! Hello Jess. By any chance we can see Cherry Blossom in full bloom this weekend or next? Am thinking of going there with my friends this weekend but not sure what is our best option. Please advise. Thank you and have a great day. The magnolias are looking wonderful and there are early flowering rhododendrons and camellias, as well as daffodils, proteas and hellebores. As the gardens are at a 500 metre altitude, the cherry trees bloom later than they do in the suburbs of Melbourne. Blossoms usually reach peak bloom in mid-September to early October. “Peak bloom” starts when at least 70% of the blossoms are open. Once open, flowers last from 4 to 10 days, depending on the weather conditions. There are a few buds and flowers starting to appear, but there is still a way to go until flowering. With this cold weather, it is expected they may be out in flower sometime from mid to late September. Therefore, I would wait another week if possible. Hello. My family and friends intend to head to see the cherry blossom either this weekend 16 Sept or next 23 Sept. For the best, which weekend is better? Thank you. I would wait another week. As the National Rhododendron Gardens are at a 500 metre altitude, the cherry trees bloom later than they do in the suburbs of Melbourne. Blossoms usually reach peak bloom in mid-September to early October. “Peak bloom” starts when at least 70% of the blossoms are open. Once open, flowers last from 4 to 10 days, depending on the weather conditions. There are a few buds and flowers starting to appear, but there is still a way to go until flowering. With this cold weather, it is expected they may be out in flower sometime from mid to late September. hi there, learned from below comments that the cherry blossom not in bloom yet. interested to see the magnolia too. are they in flower yet? ta. There are early flowering rhododendrons and camellias, as well as hellebores and daffodils. Not many flowering magnolias at the moment. No, not yet. It is still too early to predict when the cherries may be in flower but, if the weather remains cold, it will potentially delay the flowering season until late in September. Still a couple of weeks to go! Hi, What is the best time to see the cherry blossoms at the Rhododendron gardens? Thanks. The Cherry Blossoms in the National Rhododendron Gardens can be a little fickle, coming out at slightly different times each year depending on weather conditions. In 2016, the cherry blossoms were in full bloom around the last week of September and into the first week of October. I would expect similar results in 2017. 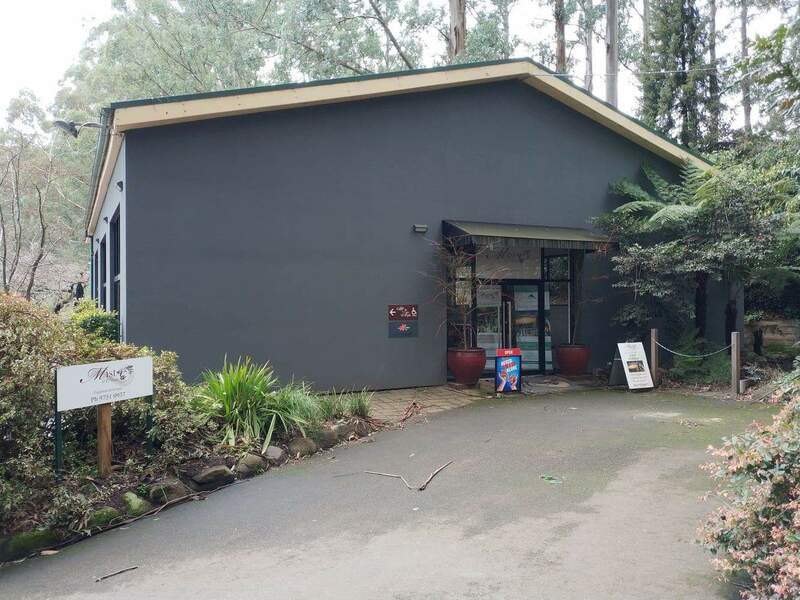 Have a great time in the Dandenong Ranges! Hi, planning a visit in 2 weeks, how are the gardens looking now? Thanks. The gardens are maintained all year round. In 2 weeks will be the height of summer with very warm days. The gardens will give you some lovely shade and the lawns will be green, which is a great place for a picnic! There will be some flowers in bloom, however not all are summer plants so some may suffer in the hot temperature. 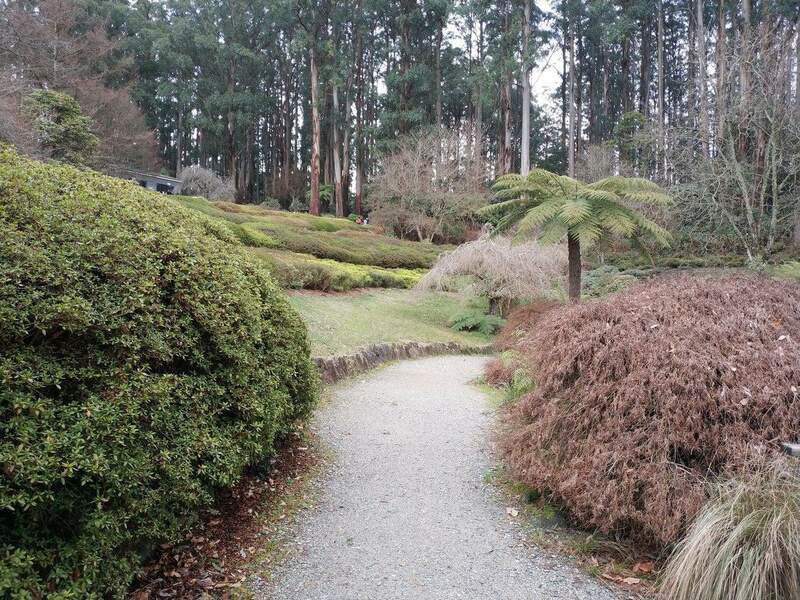 Have a great time at the National Rhododendron Gardens in the beautiful Dandenong Ranges! 6. Belgrave Farmers Market, will it be open on 29 Jan? I think one day is not enough to cover all so do let me know which are the ones not to be missed if I only have a day to cover them. Puffing Billy and Grants to feed the birds is definitely a MUST as we are travelling with kids. Day 1: Puffing Billy first. Then to Grants on Sherbrooke (only 3kms away). Then to George Tindale Memorial Gardens (only 1.4kms away). These attractions are all close together, so work them around whatever time you choose to ride on Puffing Billy. I recommend catching a morning train as the return trip will take around 3hrs to complete with a stop off at Lakeside. Day 2: National Rhododendron Gardens. Then to Warratina Lavender Farm (about 20kms away). The Belgrave Farmers market will not be open on the 29th of January as it runs on the 4th Sunday of each month which will make it the 22nd of January. Simply put these places into Google Maps and you will receive information on the best routes from Ferntree Gully. Thanks so much Jess. We are so looking forward to visit these places next week. Although the garden itself is no longer in full bloom during summer, there are still flowers that like to come out in December making the gardens a great place to visit during this time. Summer is a great time to walk around the nature trails in the shade or take a picnic on the lawns. The main burst of colour will come from the blue and white hydrangeas which will be in full bloom in summer and there are large banks of them planted all around the garden. I hope you have a great time in the Dandenong Ranges over summer! I was hoping to visit the gardens in 2 weeks. Will the rhododendrons/any other flowers still be in bloom? Yes as many of the flowers will still be in bloom. The cherry blossoms wont be flowering by that time, but you will still have a lot of magnolias and rhododendrons flowering. The camelias are out now and should still be out at the end of the month. Good morning, I am planning to go at the end of October (29th-30th – nearly Melbourne Cup). Just wondering if it is a good time to see the flowers and take some nice pictures? In short, yes as many of the flowers will still be in bloom. The cherry blossoms wont be flowering by that time, but you will still have a lot of magnolias and rhododendrons flowering. The camelias are out now and should be out at the end of the month. 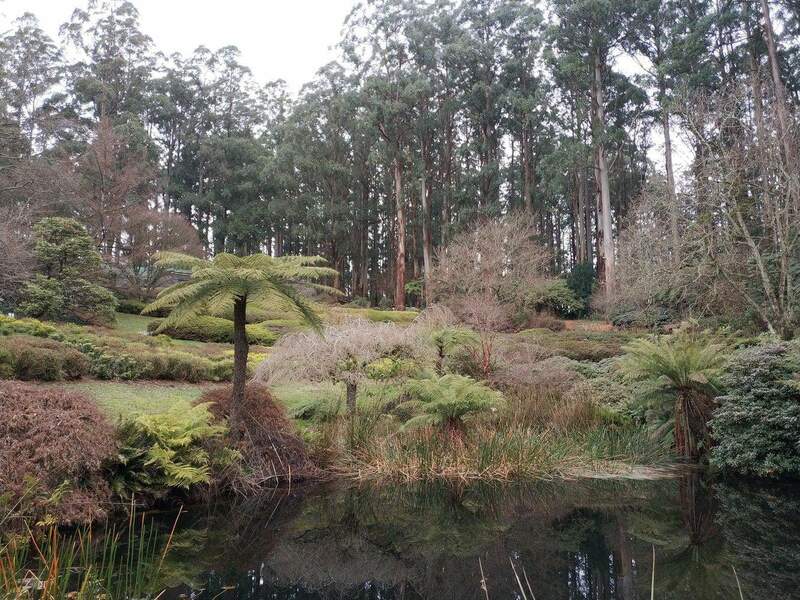 Have a great time at the National Rhododendron Gardens and the Dandenong Ranges! Good morning, just want to check if the cherry bloosom still blooming? The cherry blossoms are past their peak and only a few remain. However, the magnolias still looking beautiful, along with the leucadendrons. The rhododendrons are nearly in full bloom with more to come and the camellias are still in flower. Have a great day at the National Rhododendron Gardens! We are planning to go this weekend. Would there be a place in the garden where we could have a picnic? This weekend is a great time to go as the flowers are now in full bloom. There are some picnic tables throughout the gardens and there are plenty of lawn areas for picnic rugs. There are also some nice spots on the lawn near the lake. Have a great time at the National Rhododendron Gardens. Good morning, I am planning to bring my friends to visit the cherry blossoms tomorrow. Wondering if is it a good time to visit and is it possible to walk to the garden from Olinda? Tomorrow is a great time for you to visit the gardens as I understand over 80% of the flowers are in bloom! 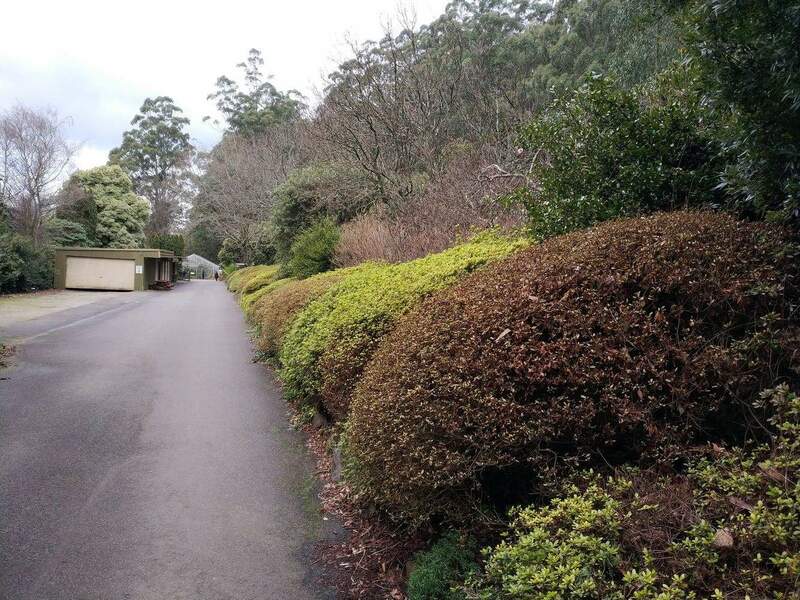 And yes, the gardens are only a 1.5km walk (20 minutes) from Olinda. Just type “Rhododendron Gardens” into Google Maps and it will show you the way. Just wondering if this weekend would be a good time to see the cherry blossom. Cheers. The cherry blossoms are approximately 75% in bloom. Hopefully that they will last for the next week but this is dependent on the weather. I would definitely head out to see them this weekend. 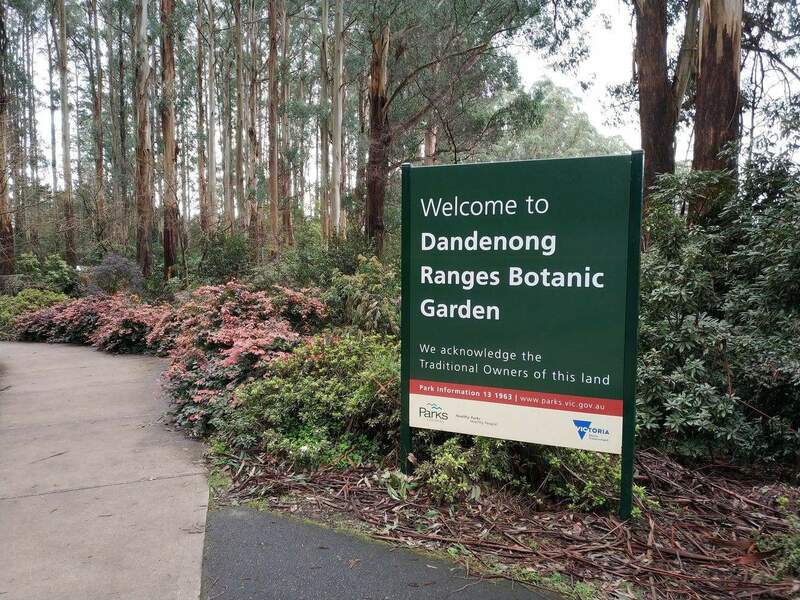 Have a great time at the Dandenong Ranges! Excellent, so glad I could help! Check through all our sites and let me know if you have any more questions about things to do in Victoria and beyond! Are the flowers in full bloom now? Will the coming long weekend (Sep 30-Oct 2) be a good time to visit? I would love to visit the garden during the peak blossom period. Are there any events happening during the time? There aren’t any planned events during this time, so the best way to enjoy the gardens is to take a picnic and have a relaxing day! I would like to know when is the best time to see the peak blossom of flowers in the garden? Now? Or two more weeks from now? Hi Leong, thanks for your question. Early rhododendrons and camellias are now in flower along with daffodils, proteas, hellebores and magnolias. As the gardens are at a 500 metre altitude, the cherry trees bloom later than they do in the suburbs of Melbourne. Blossoms usually reach peak bloom in mid-September to early October. ‘Peak bloom’ starts when at least 70% of the blossoms are open. Once open flowers last from 4 – 10 days, depending on the weather conditions. I would like to know when is the best time to see the cherry blossom blooms at the Garden. The best time to see the cherry blossom is during the flowering season in Spring – usually late September and October. During this time, the cherry blossoms flower and the rhododendrons and azaleas’ colourful flowers combine to make the gardens a magical mix of pinks and reds. Enjoy your time in the gardens! Hi, How good would it be to visit the garden this weekend 23/07/2016 or on coming weeks? I’ve been there in summer, really loved it. Its going to be very cold this weekend in the Dandenong Ranges and there is a little bit of rain expected. The experience at the gardens is very different in winter than in summer. Cyclamen flowers carpet the ground and the vireya collection can be seen. If you dress warmly and have different expectations, there is no reason why you cant enjoy the gardens in winter. Also, the crowds will be much less in winter, allowing you to have much of the gardens to yourselves. How long does the bus tour take and who do we contact to make a booking? Is there a cafe where we can have lunch or morning or afternoon tea? Hi Pamela, thanks for contacting us. Unfortunately we do not sell tours to the Rhododendron Gardens. I cannot find a tour company that offers a specific tour to the gardens, as most tours are centred on a trip out to Puffing Billy. The best way to get out to the gardens from Melbourne (or any other location) is to hire a car – I have attached a link for you here. As for lunch options whilst at the gardens, there is no cafe within the gardens but there are a number of beautiful picnic spots if you wish to take your own picnic. 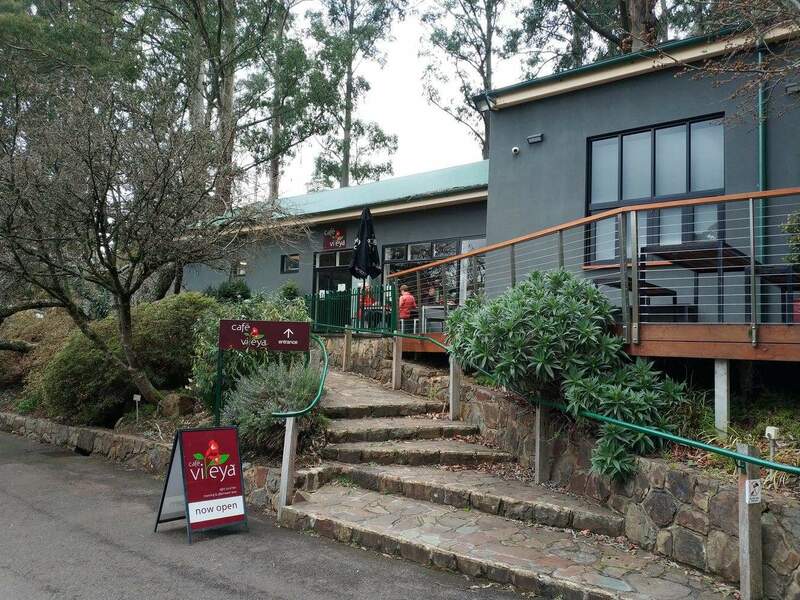 If you’d prefer to lunch somewhere else, there are a number of cafes in the nearby township of Olinda where you can find brunch or afternoon tea. Have the leaves started to change colour yet? I haven’t ventured out to the Dandenongs this Autumn as yet. However, given we are in the 2nd month of Autumn, I would be very surprised if the gardens haven’t taken on the beautiful rustic hues that they are well known for. Perhaps you could take a trip down to the gardens and report back to us? We would love the update! Would the flowers blooming in early Spring? Eg the 8th September? Thanks. I hope this helps! Enjoy the beautiful gardens in Spring. 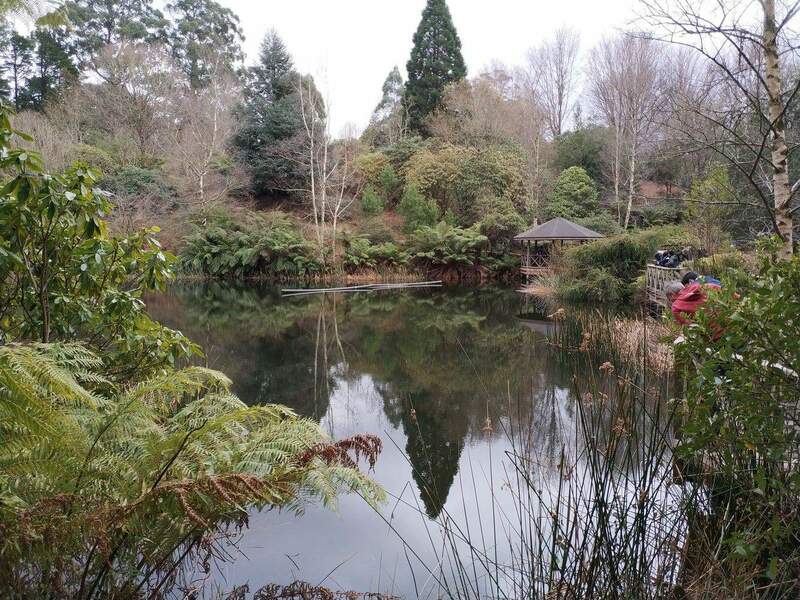 The National Rhododendron Gardens are open every day except Christmas Day. So yes, they will be open on Good Friday. Can we get there by public transport? If we bring baby could you suggest the best places to go? Thanks. 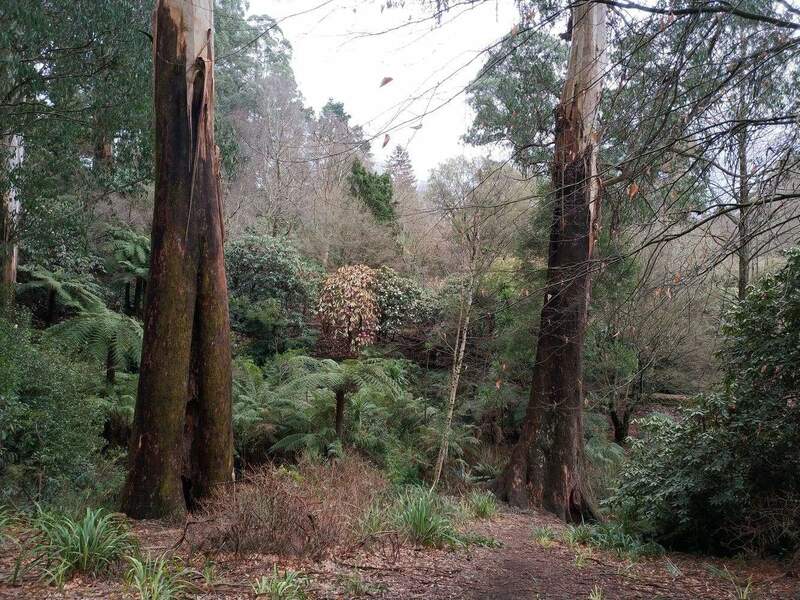 Yes, you can get to the Dandenong Ranges from the Melbourne CBD using public transport. If you are coming from the city, catch a train from Flinders Street Station or Southern Cross Station. 2. “Belgrave Line” – Take the train to Belgrave and the Route 694 bus to Olinda. Check http://www.metlinkmelbourne.com.au for scheduled times. 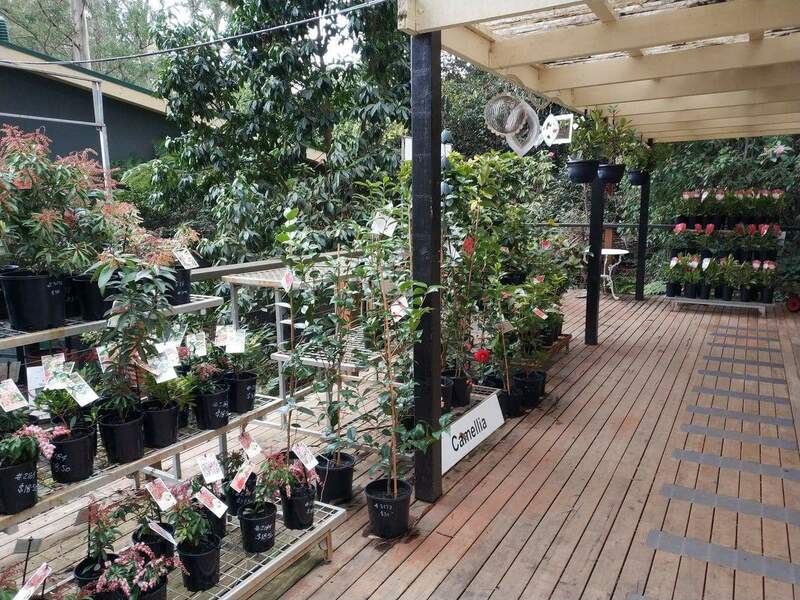 The Gardens are just a short stroll from the centre of Olinda. In so far as activities with a baby, the Rhododendron Gardens are meant for strolling and picnicking. There is plenty of grass for your little one to play on whilst you relax under a shady tree. In so far as activities with a baby, the Rhododendron Gardens are meant for strolling and picnicking. There is plenty of grass for your little one to play on whilst you relax under a shady tree. 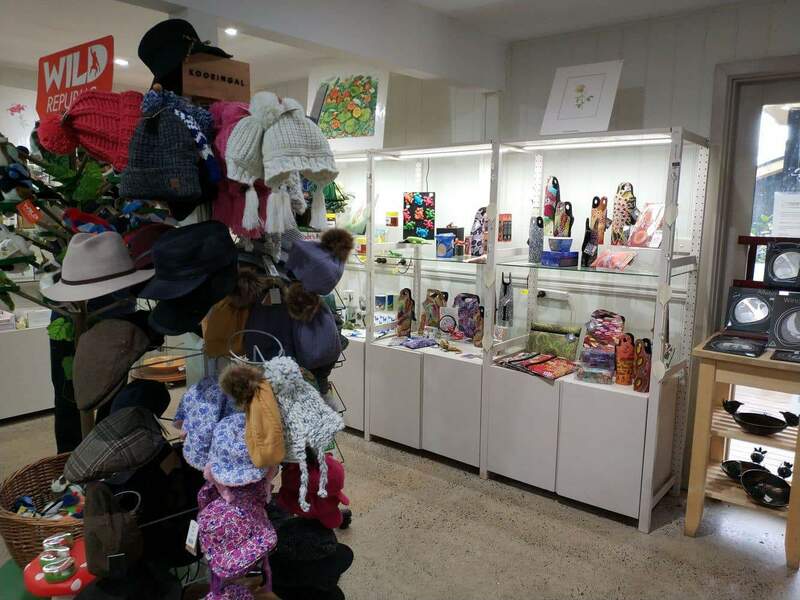 The gardens are stroller friendly and you can also wander through Olinda with a pram and visit some of the smalls shops in town. Hi, Love to visit National Rhododendron Gardens in March. would we get to see flowers at this time of the year? To quote some of the Parks Victoria material, it is stated that “Autumn is ablaze with colour as the deciduous trees and shrubs turn every shade of yellow, red and orange. The views by the lake are spectacular as many of the hydrangeas take on rustic colours and the colours are reflected in the cool calm waters”. If our summer runs longer like it did last year, you might still see a bit of colour out of the hydrangeas. Hope this helps and have a great time up there in March.